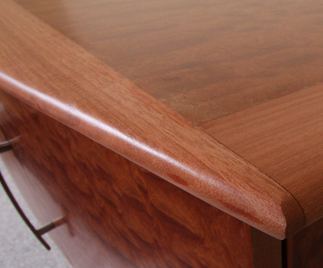 A reflection of the larger conference table, this credenza includes cabinetry with a gentle bow front. 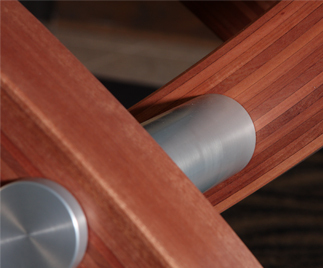 Aluminum hardware mimics the legs. 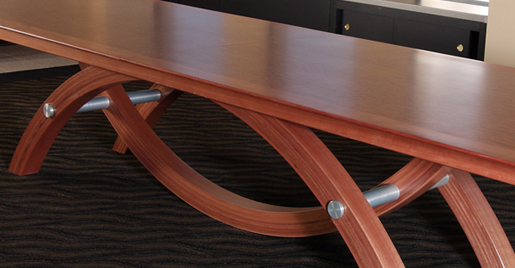 Three elegant arcs separated by aluminum rods create the leg structure of this fourteen foot conference table. 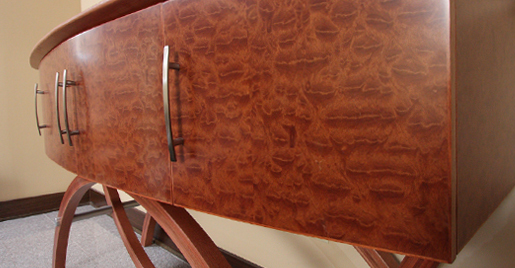 The top surface has been veneered in mottled makore, and bordered in Solid makore. 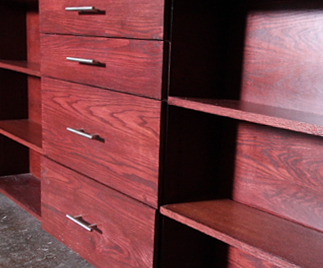 Simple, Utilitarian storage for the best ad agency in Buffalo. 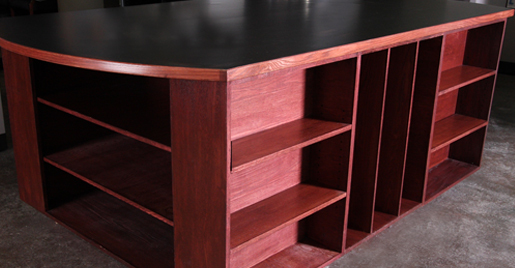 All sides exhibit shelving and drawer space to satisfy both form and function.